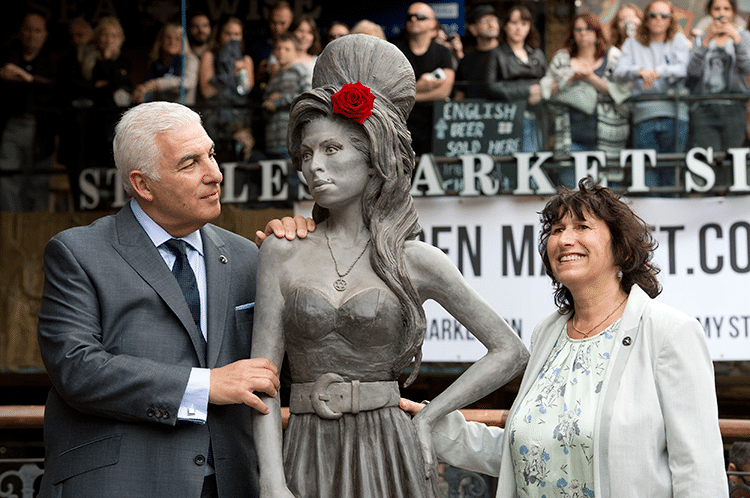 Yesterday at Camden’s Stables Market, on what would have been her 31st birthday, a statue of Amy Winehouse was revealed amid hundreds of onlookers and in the presence of her parents. The late singer was found dead in her north London flat on 23rd July, 2011. She had died of alcohol poisoning aged just 27. The death of Amy Winehouse marked a great loss for the British music scene. It was also a watershed moment for Twitter. News of Winehouse’s death broke only 20 minutes after she was found. It spread like wildfire: in the 40 minutes that followed, about 20 million people tweeted about the singer’s death – that’s almost ten percent of all tweets that were sent at the time worldwide. What’s remarkable about those 40 minutes is that Twitter users who picked up on the news of the singer’s death couldn’t go to mainstream news outlets to confirm the rumours. The BBC was the first to finally corroborate the news, an hour after Winehouse had been found. Technological advances have caused jumps in the speed of news for as long as we’ve been around. In 1858, a transatlantic cable reduced the speed of news travelling between the UK and the US from two weeks to two seconds. Radio and television then made near-instant reporting possible. What’s different about Amy Winehouse’s death is that this time, news media couldn’t keep up with the masses. A group of people the size of Australia’s entire population had beat every single traditional news outlets to reporting the news. News reporting had been lifted out of the domain of the journalist and had become everybody’s business. Would you like to hear more stories about key moments in 500 years of journalism? Come to our first Slow Journalism night on 17th October at the Victoria and Albert museum in London. Subscribers will receive an email with details on how to get free tickets for the night this month, so keep an eye on your inbox. This entry was posted on Monday, September 15th, 2014 at 4:20 pm and is filed under From the team, Slow Journalism.